“A recent study reported in the May issue of The Journal of Nuclear Medicine demonstrates that Ga-68 DOTATATE PET/CT scans are superior to In-111 pentetreotide scans, the current imaging standard in the United States for detecting neuroendocrine tumors (NETS), and could significantly impact treatment management. “A new drug application (NDA) has been submitted to the FDA for telotristat etiprate as a treatment for carcinoid syndrome in patients with metastatic neuroendocrine tumors (NETs), according to a statement from the drug’s developer, Lexicon Pharmaceuticals. “The application was based on data from two phase III trials, both of which demonstrated significant reductions in the frequency of daily bowel movements with telotristat etiprate versus placebo. In the first study, TELESTAR, telotristat etiprate reduced daily bowel movements by up to 35%. In the second study, TELECAST, there was also a significant reduction in bowel movements (P ≤.004), although the exact data were not yet released. 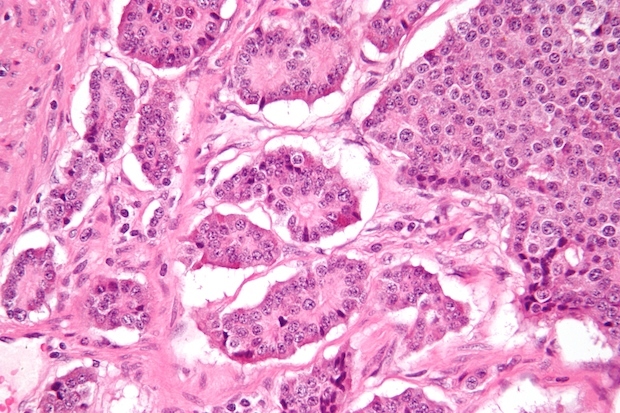 “Full surgical resection (R0) of gastroenteropancreatic neuroendocrine tumors (NETs) is associated with a greater than 90% survival rate at five years, according to findings presented at the 2015 North American Neuroendocrine Tumor Society (NANETS) symposium. The rate of recurrence varied by tumor location and stage, but the majority of patients with all types of NETs who underwent full resection were still free of recurrence in the five-year time frame. “ ‘The presence of metastatic disease does not seem as though it should deter attempts at R0 resection when it’s feasible,’ according to lead author Katherine Van Loon, MD, MPH, a gastrointestinal cancer specialist at the University of California, San Francisco, Medical Center. She noted that there were differences in disease-free survival in patients who had NETs in the pancreas and small bowel depending on their stage at diagnosis, but a significant difference in overall survival was not detected.